There is a large selection of AV-amplifiers for home theater use. 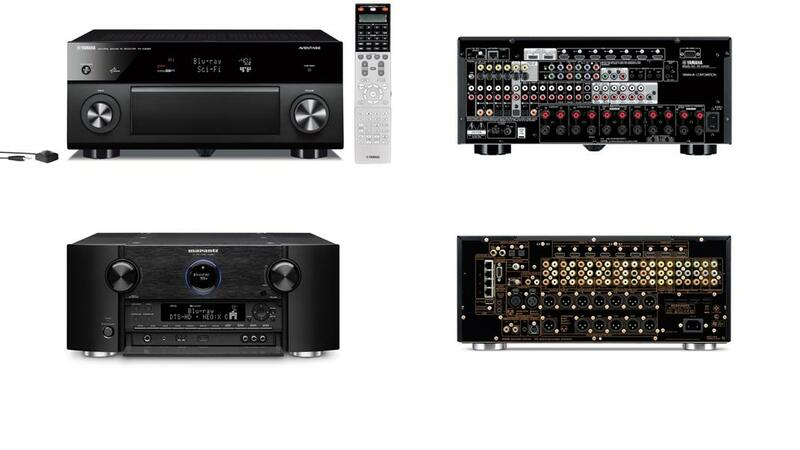 The most common type is AV - receivers, but there are also a good selection of separate AV-processors and power amplifiers for home theater use. In this guide, we explain everything you need to know about the different types of products. The first part of the guide explains in general about surround decoding and then about the various audio formats that are used in the home theaters. In this section we go into the different audio characteristics and functionality found in home theater amplifiers. Room correction is common on today's AV-amplifiers. In this part of the guide, we explain the difference between the different systems and how to get most of the calibration. In today's market there are integrated home theater amplifiers / processors with embedded decoding for 5 to 11 channels depending on the model. This allows for a variety of speaker configurations. This section looks at the different setups. In the connection section, we explain all about the different connection options that exist for home theater amplifiers. Today's AV-amplifiers is no longer just a center for audio, they now often have advanced video capabilities. This section discusses this functionality. As for many other product categories AV-amplifiers are more and more being equiped with functionality that you earlier needed a computer for. This part of the guide covers these areas in addition to other features that are not audio or video related. This section describes the characteristics of the power section or the separate power amplifiers for home theater amplifiers. In this section we summarize and comes with some buying tips for those who are looking for new home cinema amplifier.